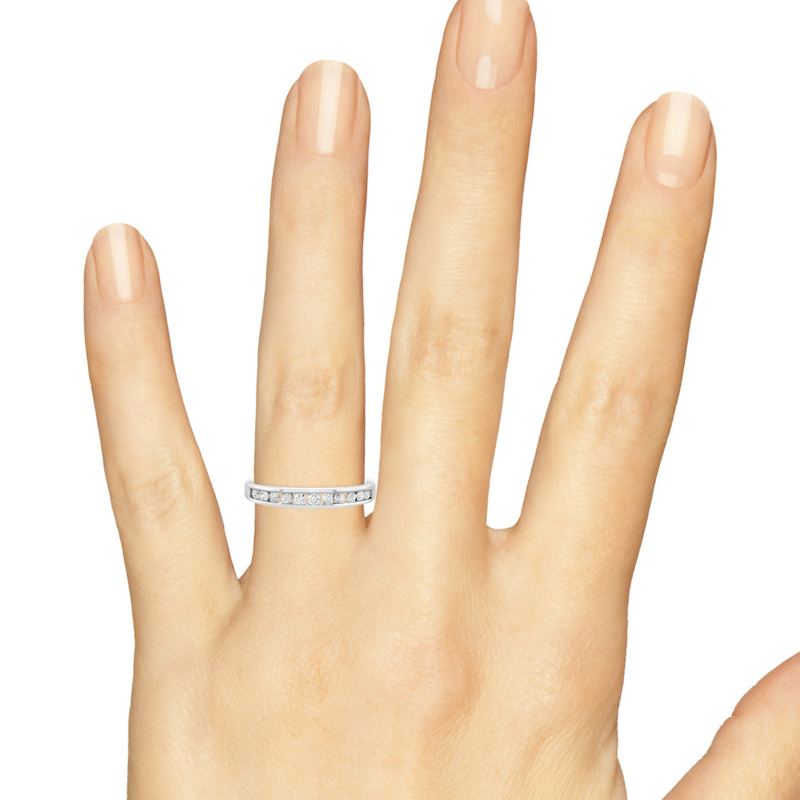 This wedding band is a stunner when you wear it on its own with its row of 10 round diamonds set within a 14K White Gold band. The diamonds total 1/2 carat. 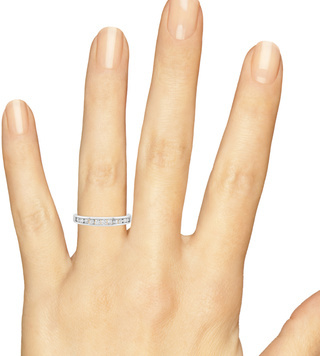 When you place this diamond ladies band next to the engagement ring in the set, it creates a complementary look that fits without stealing the show. Wonderful service and product. Thank you. Just received my ring and it is BEAUTIFUL! Sweet and elegant. Excellent - just as described. Very pleased.